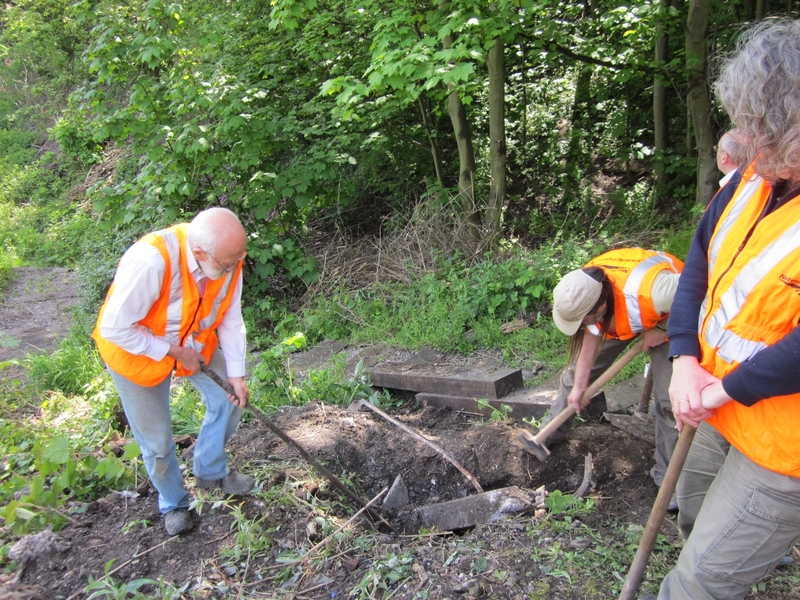 The Friends of Hither Green Triangle have been working hard in the reserve for a number of years. Recently their work has focused on building the steps in to the site from platform 5. They have worked in glorious sunshine and pouring rain. They have come across buried train windows and metal poles. It has been very hard work and there was still a long way to go, until the nice people from Morgan Sindall offered their services. 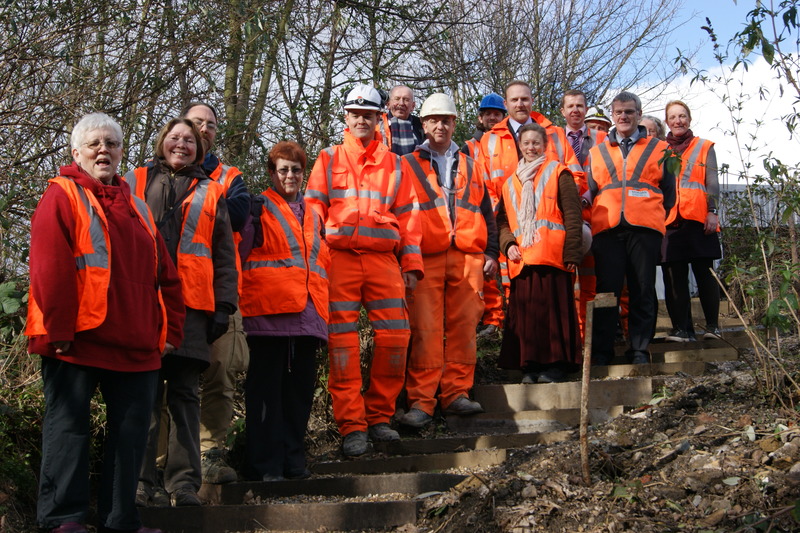 They have been working on the platform extensions at Hither Green Station and asked if there was anything they could do to help in the reserve while they were there. We asked if they could help finish the steps and they agreed! After a few changes in personnel, a meeting was held on site in early December 2012 and before the year was out the steps had been completed! We are all very grateful to Morgan Sindall for all their hard work at getting the steps complete. It will make our work in the the reserve much easier as because access will be easier! They did an amazing job and even added a few extra flourishes that we were not expecting. Last week, the Friends were joined on site by Cllr Susan Wise, Cabinet Member for Customer Services and Cllr Stella Jeffrey, Labour Councillor for Lewisham Central along with representatives from Network Rail and Morgan Sindall. This gave the Friends a chance to thank the workers who finished the steps in person and have a few photos of us all on the steps looking very proud and happy. A few familiar faces in the photo! Congratulations Jess and the Nature Triangle volunteers. And to Morgan Sindall too. It looks great from Platform 5! Thanks very much! You’ll have to pop in for a visit and give them a try! Don’t we all look fab in orange as well!